Since 2006 Puerto Rico has been facing an unprecedented economic and fiscal crisis that shows little signs of ending or abating in the foreseeable future. Thousands of Puerto Ricans have been forced to leave Puerto Rico because of the difficulties that they have encountered in finding a job or having access to health care. To understand what is currently happening in Puerto Rico we turn to examine the past and see what economic policies that led to the crisis. From the turn of the 20 century to the present, the direct impact of the United States on the economic development of Puerto Rico is evident. It is also evident that Puerto Rico’s policies, such as Operation Bootstrap or the programs implemented by the Migration Division of the Department of Labor of Puerto Rico, have also tremendously influenced the economic development of the island. In conjunction, these policies have transformed Puerto Rico’s export markets and the economy from an agriculture based society to a capital intensive industrialized economy. Puerto Rico’s economy has been mostly based on direct investment from pharmaceutical and other multinational corporations primarily from the United States. The local economy is also dependent on federal subsidies and other government transfers, along with access to the United States municipal capital markets and public borrowing. Local policies supported the development of infrastructure and the improvements in education and workface preparation. In conjunction, these policies contribute to the economic booms and busts that have impacted Puerto Rico since the 1940s. In this timeline, we summarize the most important milestones and turning points, and the impacts that United States and local policies have had on Puerto Rico’s economy. 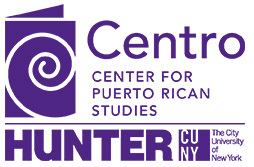 A national partnership devoted to promoting Puerto Rican culture. These guides contain useful tools for teaching about Puerto Ricans in the United States. Open courseware is a web-based electronic publishing initiative that makes available online core teaching materials. Centro's Poster Series illustrate complex lessons that are ideal for classroom use and as artistic displays.